What is RTP and the win frequency? If you don’t just gamble for fun, then you should in fact learn all the ins and outs of these terms and use them when choosing your next online game to play. They will significantly impact the optimal way of playing your game as well as your prizes. Let's begin with a term most players are probably familiar with, RTP. The abbreviation stands for Return To Player, and represents the theoretical pay-out that the player should receive (on average) - in some cases you might see equivalent names for this such as payout ratio or win ratio. For many players, this is the most important piece of information about a slot machine. But the issue is not that straightforward - it is indeed very important, but there are other notable indicators as well. In principle, this value represents how much percent of your bets will the game ponechá ve formě výher při dlouhodobém hraní. Udává se v procentech. Evropská ruleta má RTP 97,3% a v drtivé většině online automatů mezi 93 až 97 %. Ta čísla vypadají skutečně dobře. Je třeba si uvědomit, že tyto hodnoty se počítají z dlouhodobého průměru a navíc ze sázek všech hráčů. V praxi to znamená, že na automatu občas někdo vyhraje skutečně vysokou sumu, ale jiní musejí tuto sumu zase prohrát. The casino margin is a term that is often confused with the RTP. They both in essence capture the same information and are calculated virtually identically, but each value has precisely the opposite meaning. For instance, if the RTP is 96%, then the casino margin is 4%. This means that the casino will “take” € 4 from each € 100 you bet, while the rest will be spent on winnings. Of course, these numbers represent long-term averages, so real games often look differently in practice. We are now slowly approaching a really important part of slot machine gameplay. Unfortunately, most players are not aware of this part and don’t know the term win frequency. And yet this number is arguably more important for slot machines than RTP. The win frequency (volatility) represents the number of winning spins (in percentage points). It specifically takes into account how often a certain symbol occurs and the frequency of winning combinations. In general, a slot machine with high volatility refers to machines with a win frequency of about 1 in 3 spins. On the other hand, low-volatility slot machines may pay out a win for instance once every 10 spins. But if you’re about to head off and start spinning on the slot machine with the high volatility, we’d recommend waiting a bit. As always, there’s a catch. Online slot machines with a higher win frequency generally offer lower payouts, while those with lower win frequencies have higher payouts. That is why big players who want to win big prefer playing specifically on slot machines with low volatility. 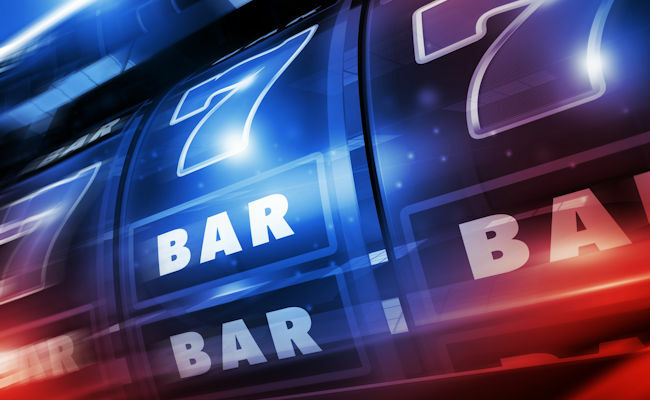 Some modern slot machines have a win frequency that is so high that their payouts often don’t even exceed the value of the bet. So it might seem that you’re constantly winning, but your bank account is gradually shrinking. So, what does all this mean for a player? Well, it’s a good idea to check out the parameters of a casino game before playing. Good casinos specify the RTP directly in the game’s annotation. If it’s not there, try reading the rules directly in the game. More progressive providers such as NETENT or Quickspin list it there. Others only do so rarely. Also note that casinos offer the same online game with different RTPs. The RTP depends on the software, and online casinos are allowed to change it for some games. The situation becomes more complicated for frequency. You won’t find its numerical value anywhere. But it’s easy to approximate it based on the payouts offered by the slot machine for basic symbols. If these are low, then it should be clear that the win frequency will be higher than if these are relatively high. Of course, there are several other factors that determine how profitable (or good) a slot machine is, for instance if you play Max Bet, want a slot machine with a progressive jackpot etc. But the terms introduced in this article should make it easier for you to choose right. Simply restrict your search to the slot machines with the best RTP, a suitable win frequency, and which match your other preferences. We hope (or believe) that your favorite casino will have such a slot machine in its offer. Fingers crossed.